Once items start spilling onto the floor, it's only a matter of time before there's nowhere left to walk. I followed my "Empty Everything" rule, but because this is such a large area I implemented it one section at a time. Working in segments, it took me about a week to complete this task. Obviously, in order to eliminate clutter, some stuff had to GO! There's comes a time when you have to admit you're never going to do anything with those things you might need "someday" and say, "Goodbye!" When it comes to deciding what goes back where, I give the most-used items the positions at eye level in the front of the shelf, making them easy to access. The things I'm just storing or don't need often are placed in the back. I utilize containers wherever possible. That way if I need to get to something stored in the back, I only have to move one bin verses numerous individual doo dads. They also keep things from getting dusty. 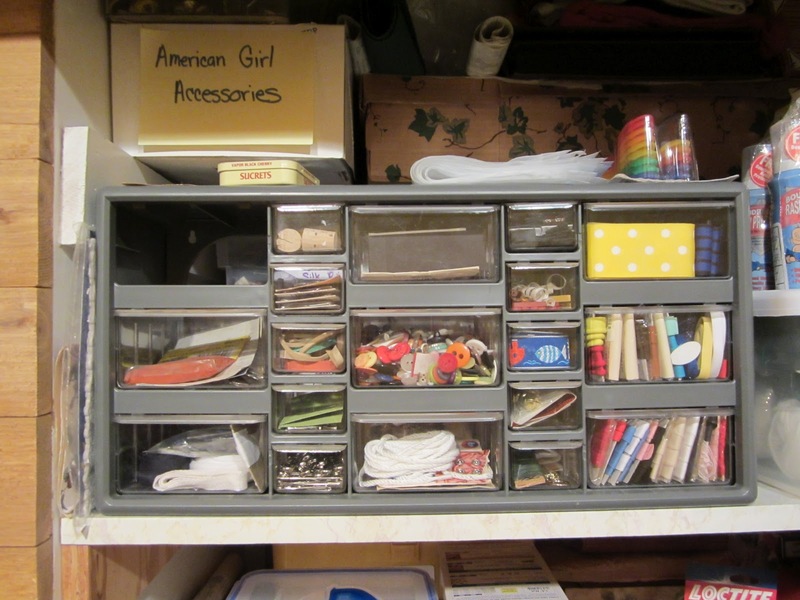 While I use whatever I have available, I prefer clear bins so I can easily see the contents. Labeling is especially important for those containers I can't see through. The zippered bags linens come in are also great for storage! Because the shelves are deep and I can't see what's stored toward the back, I jot down a list of the contents as I'm arranging the shelf. When I'm finished, I tack the lists to the trim alongside the corresponding shelf. With a quick glance I know exactly where to find everything! I finally got to the point this year where I said goodbye to stuff that I've been holding onto for someday. It's very freeing to admit that I've moved on, or we just never needed it. Now I'm working on being careful about what I bring into the house. 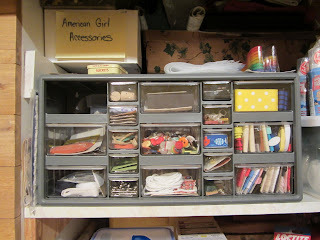 Thanks for sharing this at Frugal Thursday Rewind!